There is no guarantee that everything you do will always go down just fine. 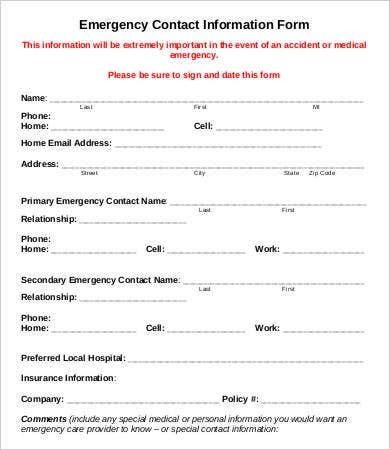 And in a world where anything can happen and possible help may be necessary, it makes a lot of sense to have an emergency contact form. 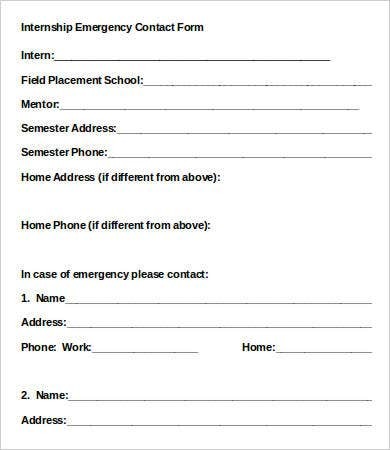 And the easiest way to create one is to download and use a free sample contact form designed specifically for emergency contacts. Here is a list of the best same templates that you can download for free. 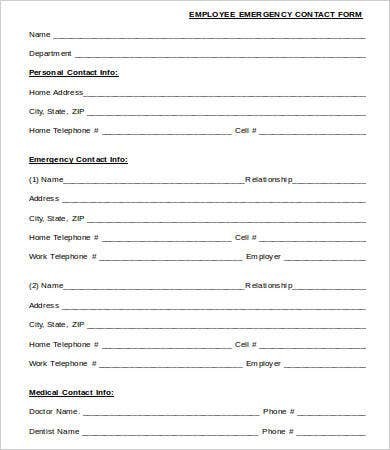 One of the most important things an employee must have is a contact list for emergencies. If you have never taken this seriously, now is the time to do so. Here is the template to use. You may also see Contact Sheet Templates. There is no guarantee that things will always go right around you. 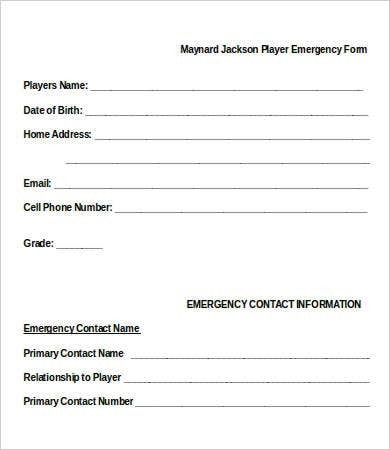 So, you need to make sure you have an emergency contact list all the time. If you don’t have one yet, use the above template to create it. 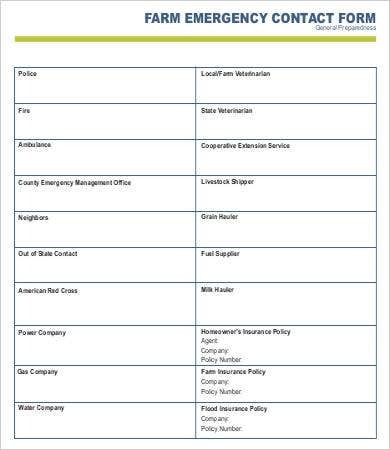 Because there are many business risks that you have to deal with all the time, it is important that you create an emergency contact list. And it is easy to do that. You just need a pen and the above sample template. 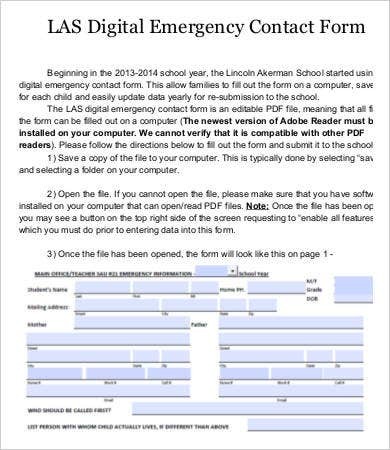 It is quite possible that you don’t have an emergency contact list. And that is not good at all. 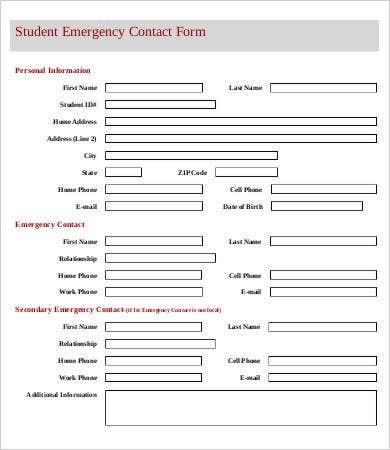 So, you should use the above sample file and create a suitable emergency contact list for future use. 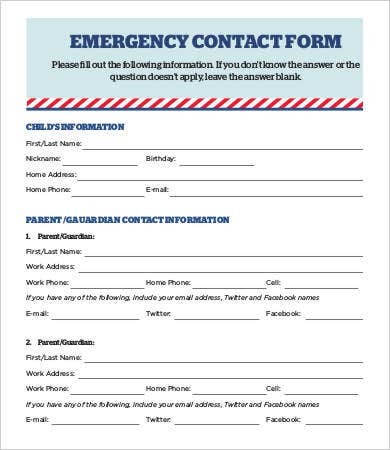 Why you must have an emergency contact list? You do not have the assurance that everything will go right all the time. Anything can happen, anywhere, at any time. When you have a contact list with you, you can always go anywhere with an assurance that you can get help at any time. When or where an incident occurs is something no one can really tell. 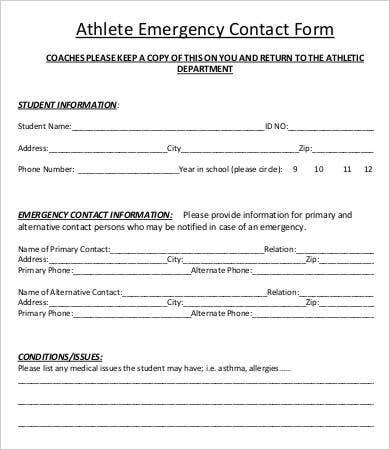 You may also check Order Form Templates. 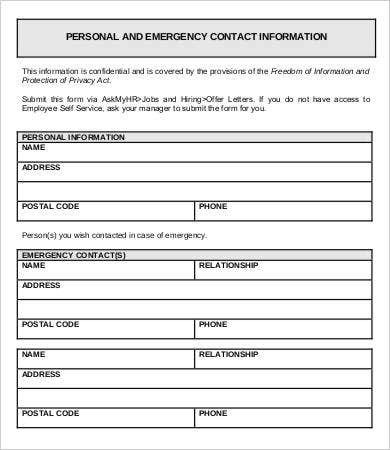 The contacts you write on an emergency contact template are usually only those that you can rely on in the case of an emergency. 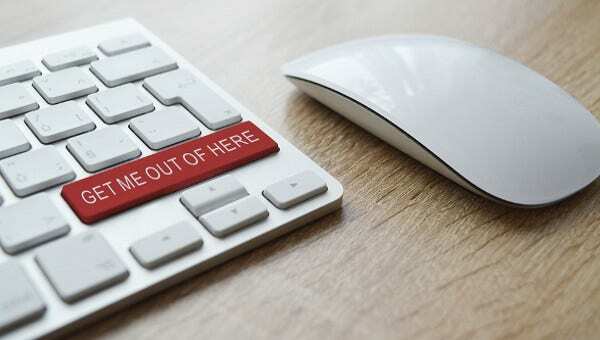 As such, they are the best backup plan that you can carry with you wherever you go. As such, you should not hesitate to create an emergency call log if you don’t already have one. Who should use these Sample Templates? First, this is the wrong question to ask. Because there are no set rules as to who can use these sample files, anyone who wants to use them should go ahead and do so. Emergencies don’t choose on whom they befall. That means you need to have this document no matter who you are. If you have never thought of creating one, to begin with, this would be the best time to do so. You cannot predict when a disaster will befall you. Of course, a risk doesn’t really have to be something fatal. It could be a small problem too, that begs for the help of someone out there. 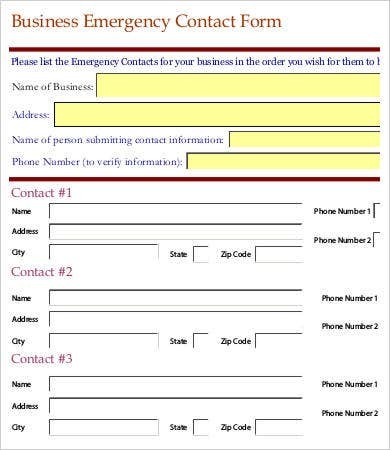 As such, the very best thing that you can do is to create an emergency contact list template. 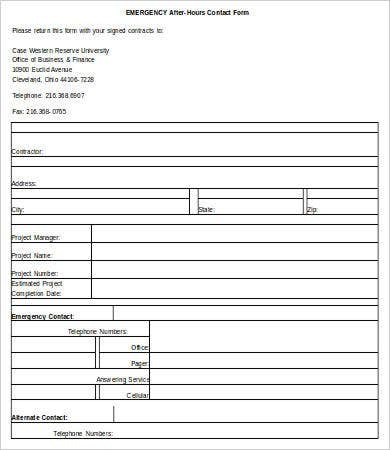 If you do not have one, download a template and get the job done.